Selling over the phone for many can be a very daunting and petrifying task. Believe me, I have been there. And so too have thousands and thousands of people all of whom have felt that small tremble before dialing out over the telephone. It is nothing to be ashamed of. The art of selling over the phone is near enough vital to making your business succeed, or to help your business to grow. Sure, at Paragon we are proud ambassadors of modern techniques in selling such as social selling, and even traditional methods such as face to face selling. However, at times nothing beats a good old fashioned telephone. If you truly want to get the sale, and to boost your profits you need to pick up the phone, and have a conversation with the person on the other end of it. In a poll of business managers, B2B telesales calls at work were voted as the least annoying form of advertising. Only 4% said it was the most annoying form, while the eight other options were all voted more annoying. Short campaigns for direct marketing do not work, on average it takes no less than 3 months for a company to start seeing real results. 70% of business to business sales comes from human interaction which 56% of which started with telemarketing. Sure, these statistics are from 2015, so could be slightly out, but they do make for interesting reading. So whether you are a small company looking to boost brand awareness, or a medium sized company looking to set up more meetings for your sales reps – at times nothing beats picking up the phone! And by telesales, I need to point out I am not talking about row upon row of people picking up the phone, reading from a script daring to stray too far away from the written words in front of them. The best form of telesales is what I mentioned before: a conversation. It is a good old fashioned ‘chin wag’ with direction. A fact finding conversation, a value giving conversation, and a way to develop a relationship way better than a Facebook post ever could. At Paragon, we run telemarketing campaigns for companies up and down the UK. Although we do pride ourselves on our sales rates and our ability to close sales, the one thing I always look for is relationship development. We believe strongly in the need to get to know our prospects and our potential customers so that we can understand their needs and work alongside them to find the best solution to their problem. And you should do too. Sure; if you have the budget (and it could be cheaper than you think!) you should leave the telephone calls to the professionals. 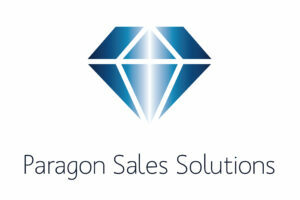 The Paragon team have been doing this for years and are well equipped to get the sale on your behalf. But if you want a more hands on approach to your sales process, then I am happy to share our top tips for telesales success. All of these tips are best prescribed with practice. The more you work on your skills, just like anything in life, you will become an expert in no time at all. But in the meantime, enjoy these tips. Learn from them. Put them into practice. And be sure to let me know how you get on! This may sound a little odd, but it works. The person on the other phone will pick up on it. I assure you. With every new call comes a fresh chance. Don’t let your mood affect your next call. An improved posture will improve your speech, reaction time and ability to think on your feet (literally). Taking the time to research your prospect, their company and understand all of the inner details of your own product or service will help during any conversation. You don’t want to be ‘Umm’ – ing or ‘Err’ – ing too much! Questions are more important than statements. Asking your prospect the right questions will you keep you on track to get the sale. If you have a successful call, do not stop to celebrate. Keep going and celebrate later! Sometimes being on a roll will help your campaign. Let’s say you have a list of 20 people to call in one day. Don’t keep a tally after every call you make. Count every CONTACT you have had. Just because the person on your list did not pick up their phone does not mean you can tick them off your list. Before you stop for a tea break. Or before you stop for lunch. Before you stop for the day, make one more call. The top earners and top performers always go that extra mile. Don’t just go through the motions, ask your prospect questions and then glaze over whilst checking your Instagram feed. Use active listening. Truly care for what the other person on the other end of the phone is telling you. Be sure to be nice, friendly and polite to people. Even if they do not want your offer. treat everyone with respect. Make sure you are remembered for the right reasons! I am confident these simple tips will help you on your quest to become a great telesales pro! Have I missed anything out? Are you seeing great success from these tips? Be sure to let me know!